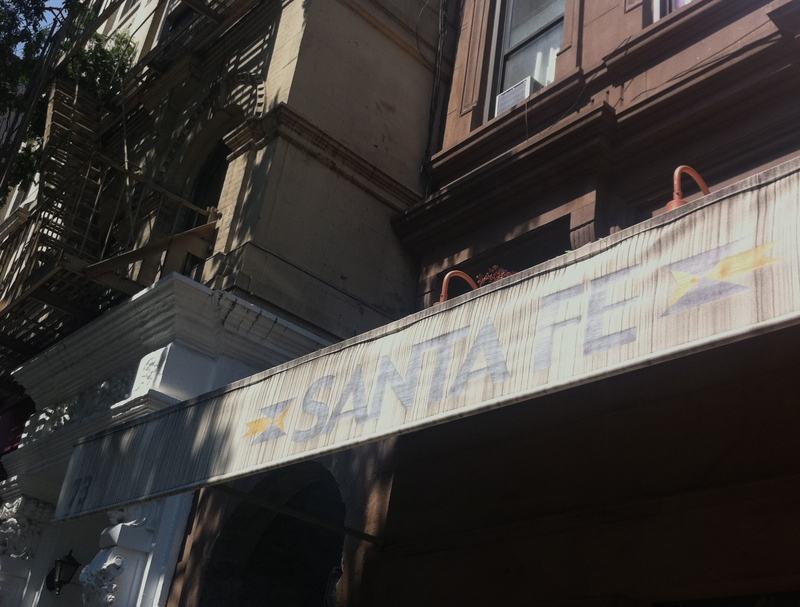 I typically am not a fan of Southwestern or Mexican cuisine and I rarely drink alcohol, so you may be surprised that I’m writing about SANTA FE restaurant on West 71st st between Columbus Avenue and Central Park West. SANTA FE has been in my five blocks for over 25 years. I’ve only recently re-discovered it and now have added it to my list of low-key favorites. I went for a late lunch on Saturday afternoon and found that there were several regulars who knew the staff and sat at the bar. The atmosphere felt very friendly and easy. 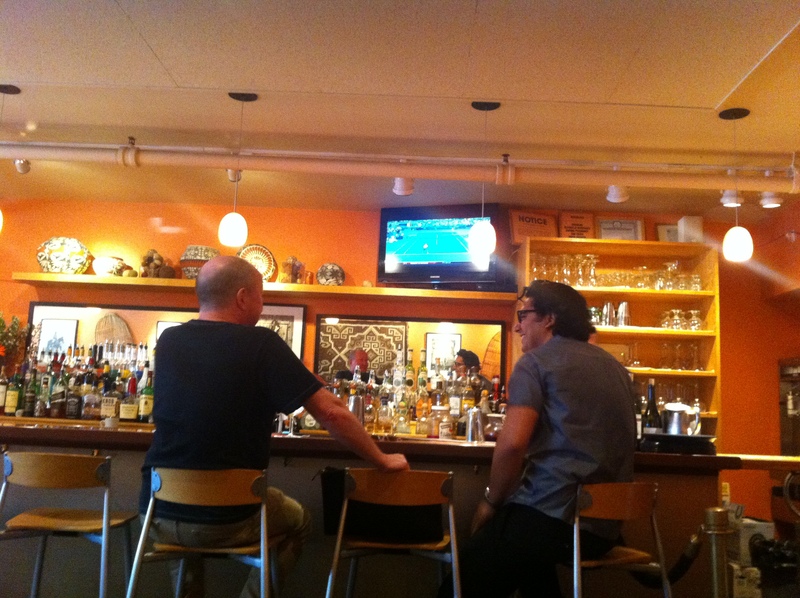 And being that I’m a big tennis fan, I was especially pleased to find tennis on the big screen TV above the bar. I was sitting in a booth facing the bar, so had a view of the great match between Andy Murray and Mardy Fish from the Western and Southern ATP Tennis Tournament. 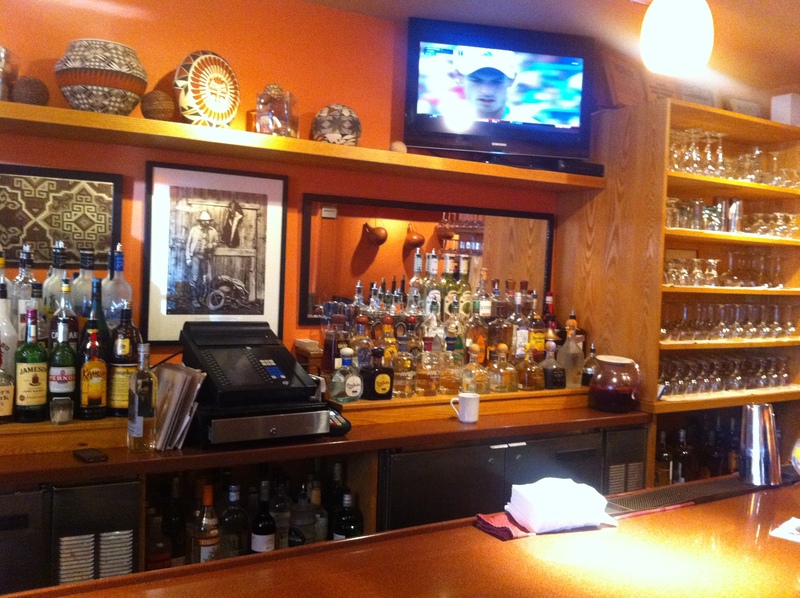 SANTA FE’s southwestern-style decor is modern, warm, and appealing. 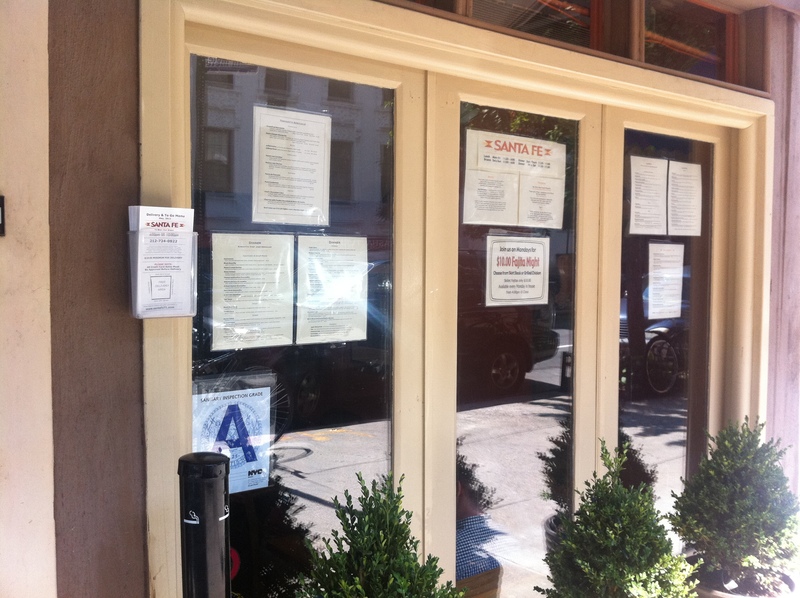 The restaurant is extremely clean, and thus it is no surprise it has received an “A” Grade from the Department of Public Health. The daytime weekend menu offers either lunch or brunch items. Brunch includes the typical fare with a Southwestern twist — Chipolte Benedict, Southwestern French Toast, Steak and Egg Burritos, etc. Personally, I was interested in the great salad options. My favorite is the Santa Fe salad with mixed greens, tomato, mushrooms, avocado, roasted red peppers, hard boiled egg, onion and cheddar cheese (though I 86 the last two items and add the Cotija cheese instead). You can also add Grilled chicken, skirt stake or shrimp to the salad. I also highly recommend the guacamole which is made with big chunks of avocado and tastes very fresh as if made at the table even though it’s not. Overall, there is a large lunch menu with appetizers, soups, salads, entrees and desserts. I did not indulge in a Margaritas, but according to the website, they are the “best in town”. In fact the website description of the restaurant as a comfortable, friendly and delicious dining experience is quite accurate. So the next time you’re looking for a fun, low-key weekend lunch in my five blocks, stop by SANTA FE and let me know what you think.